The London 2012 brand is fundamental to the Games. It is how we identify the Games, how we communicate our ambition, and how we drive excitement and enthusiasm for the Games. 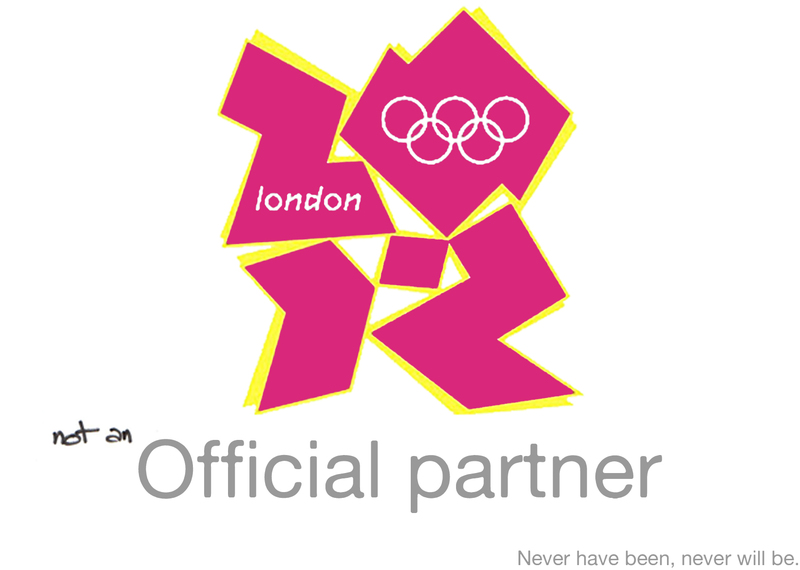 The London 2012 brand is also vital to the funding of the Games and is the London 2012 Organising Committee’s most valuable asset. To ensure we maintain both the emotional and commercial value of the brand, we need to carefully control its use and prevent its unauthorised exploitation. Oh yes, London 2012 website how right you are! It is not the achievements of the finest sporting champions in the world that inspire admiration for the Olympics, but instead it is the possibility of sipping an officially branded drink from an officially branded cup through an officially branded straw. It is of paramount importance that the Olympic brand is protected; and Grunts for the Arts, being the upholders of Olympian justice that we are, have pledged our support to your cause. A cursory glance around the world in which we live (yup, that’s right – over a billion images in one link!) would suggest that there might be plenty enough advertising informing us who is an official partner, sponsor or supporter, though we do wonder if our friends at the LOCOG have maybe missed a trick when it comes to pointing out who isn’t. Click here to download a sticker template* for the The Real Continuity IOC’s ‘O BOLLOX’ campaign, print it out in your favourite word processing application, and then go get you some advertising space claimed. * The template will work on any 8 stickers to a sheet A4 page. You can easily steal packs of these from work. Just check that it’s Avery code L7165.